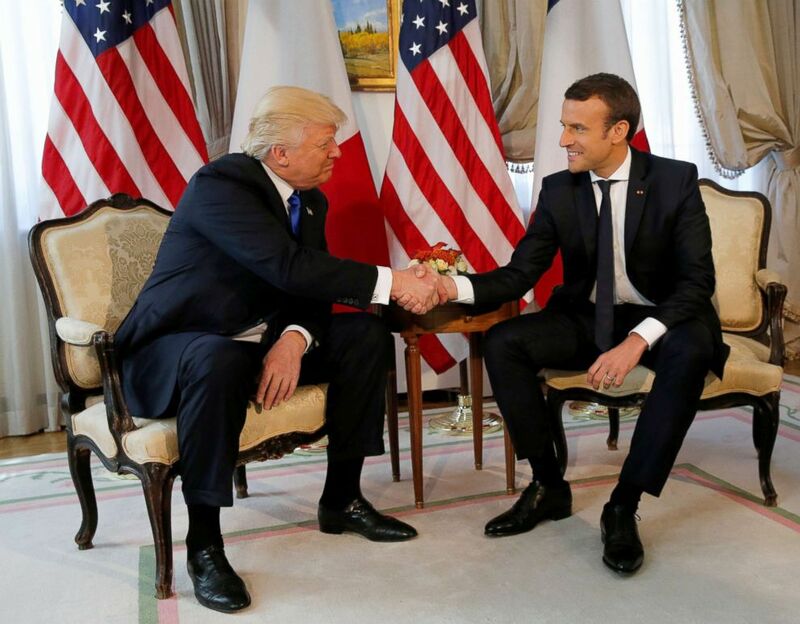 French President Emmanuel Macron is arriving today in Washington for the first state visit of a foreign leader since President Donald Trump took office. 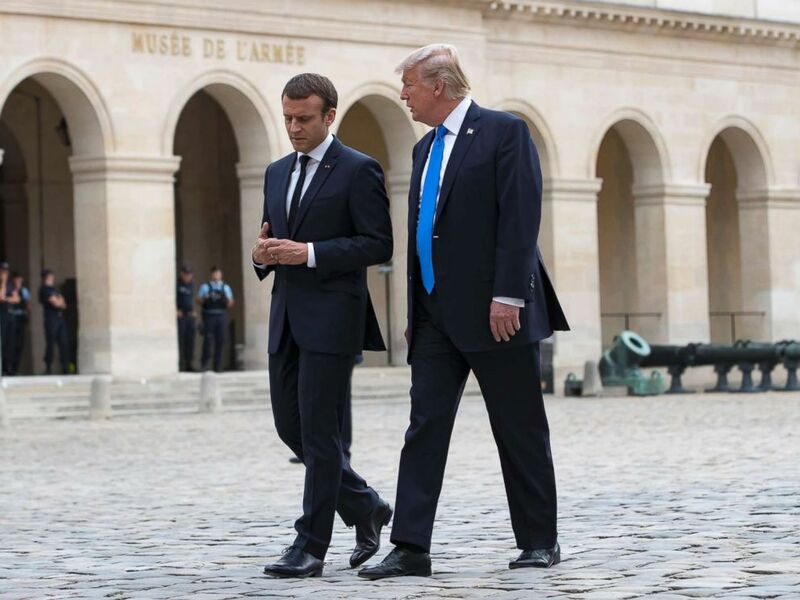 French President Emmanuel Macron walks with President Donald J. Trump as they leave Les Invalides museum in Paris, July 13, 2017. 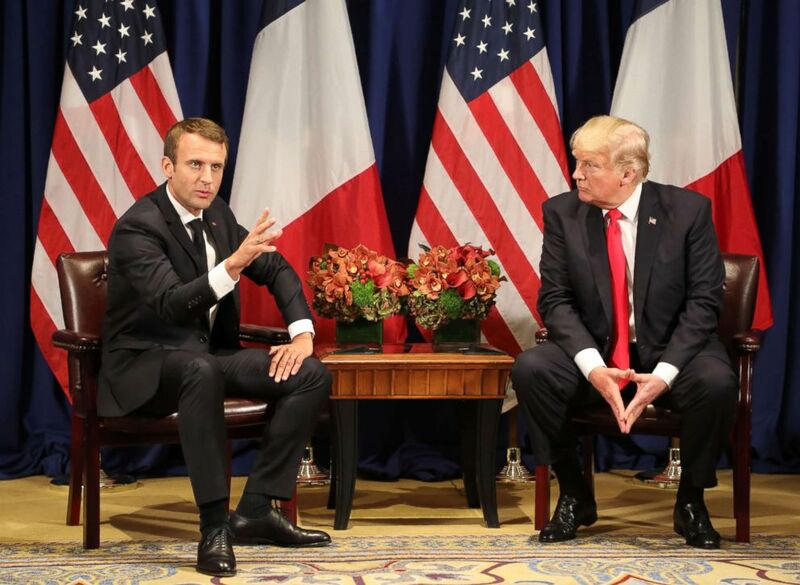 France's president Emmanuel Macron meets with President Donald Trump in New York on the sidelines of the 72nd session of the United Nations General Assembly, Sept. 18, 2017. The state visit will also be an opportunity for Macron to introduce himself to the U.S. people. He will address -- in English -- a joint session of Congress Wednesday. President Donald Trump and French President Emmanuel Macron shake hands before a lunch ahead of a NATO Summit in Brussels, Belgium, May 25, 2017.